Galileo's support of Copernican astronomy culminated in a clash with church authorities so dramatic that it is the foundation of the most widely held stereotype regarding the relationship between science and religion: automatic antagonism and unavoidable war. The conflict between Galileo and the Catholic Church, however, was far from inevitable. Initially, Aristotelian philosophers in Italian universities opposed Galileo. According to Galileo, his science was "in contradiction to the physical notions commonly held among academic philosophers," and they had "stirred up against me no small number of professors . . . " (Drake, Discoveries, 176). They were eager to enlist the Church on their side. Galileo complained that they "hurled various charges and published numerous writings filled with vain arguments, and they made the grave mistake of sprinkling these with passages taken from places in the Bible which they had failed to understand properly . . . " (Drake, Discoveries, 176). They had "resolved to fabricate a shield for their fallacies out of the mantle of pretended religion and the authority of the Bible" (Drake, Discoveries, 177). A few individual priests were induced to charge that the motion of the Earth was contrary to the Bible. At around the same time, a church official remarked that the Bible tells us how to go to heaven, not how the heavens go. Wisely, the Church was not eager to enter a scientific dispute. 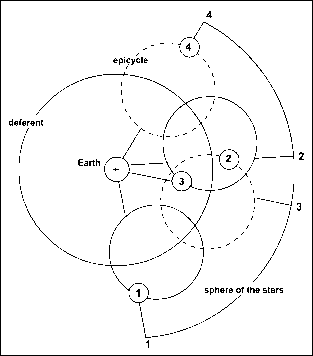 Galileo attempted to win the Church to his side and silence objections to Copernican astronomy based on scripture. Saint Augustine earlier had suggested that no scientific doctrine should ever be made an article of faith, lest some better-informed heretic exploit misguided adherence to a scientific doctrine to impugn the credibility of proper articles of faith. Galileo cited Saint Augustine's warning. 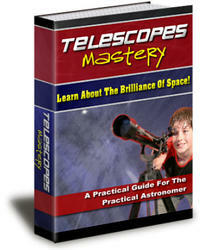 It was good advice for an era in which new telescopic observations were being made almost nightly. Galileo also appealed to the authority of Saint Augustine in support of the thesis that no contradiction can exist between the Bible and science when the Bible is interpreted correctly. Galileo acknowledged "that it is very pious to say and prudent to affirm that the holy Bible can never speak untruth—whenever its true meaning is understood" (Drake, Discoveries, 181). But for "discussions of physical problems we ought to begin not from the authority of scriptural passages, but from sense-experiences and necessary demonstrations" (Drake, Discoveries, 182). Galileo's position may sound sensible now, but he was out of step with his time. The Counter-Reformation then demanded tight control over Church doctrine, the better to counter Protestants. In 1616 Pope Paul V submitted the questions of the motion of the Earth and the stability of the Sun to the official qualifiers of disputed propositions. It is not known why the pope acted.